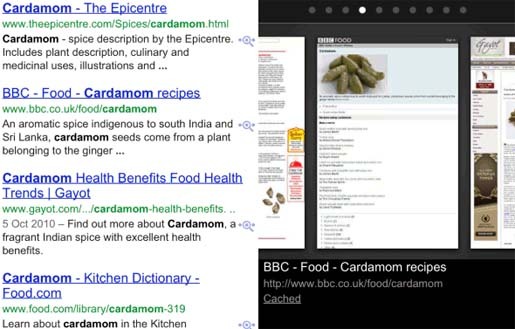 It isn’t sure that how many of you have searched the results from the cached version of a search result. 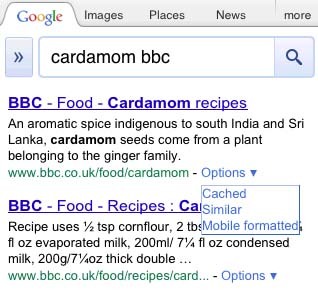 It is still available when you use the Google Search on a mobile phone. All it is required to do is just clicking the Instant Preview icon (a magnifier) to find the "cached" link as you do in the desktop interface. However, due to some reasons, the links to the mobile formatted version and to the list of similar pages will no longer be displayed. If you wish to go back to the older interface, you can bookmark http://www.google.com/m or replace "google.com/search" with "google.com/m/search" in the URL.